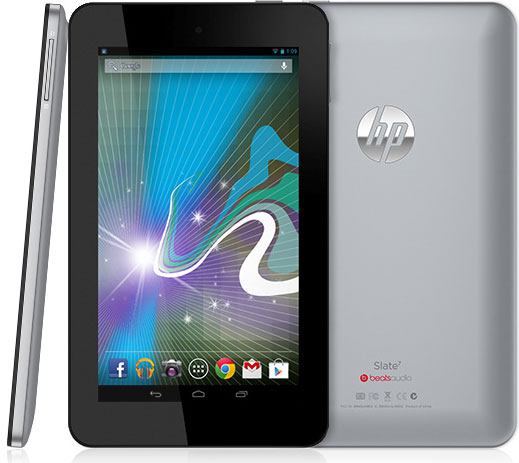 Today, you can pick up HP’s newest piece of hardware, the Slate 7, an Android-powered tablet complete with licensed Beats Audio software on board. The tablet is powered by a dual-core ARM Cortex A9 chip clocked at 1.6GHz, 1GB of RAM, features 8GB of internal memory, runs Android 4.1, and sports a not-so-hot 7″ WVA display. What redeems this tablet’s sub-par specs is the price though, set at just $170. While we would probably recommend you spend the extra $30 and pick up a Nexus 7, this is the beauty of options.